A preamplifier (preamp) is an electronic amplifier that prepares a small electrical signal for amplification or further processing. 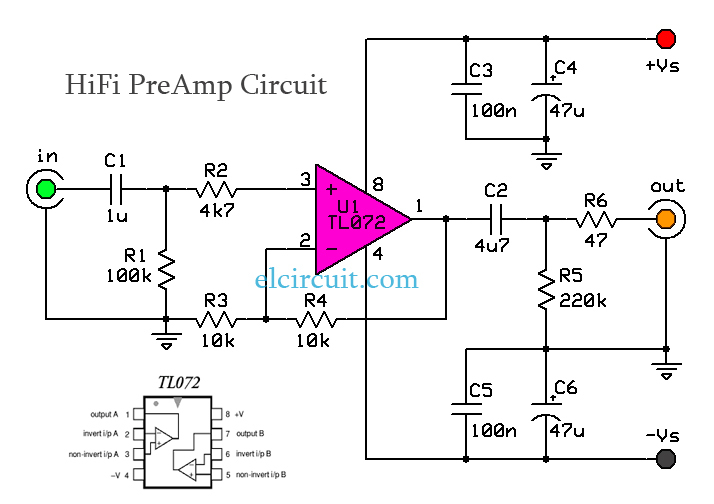 A preamp is often placed close to the sensor to reduce the effects of noise (noise) and interference (radio frequency).HiFi Preamp used to increase the signal strength to drive a cable to the main instrument without significantly lowering the signal-to-noise (SNR). Noise performance of the preamplifier is very important; based formula Friss, when the gain of the preamplifier high SNR of the final signal is determined by the SNR of the input signal and the noise figure of the preamplifier. 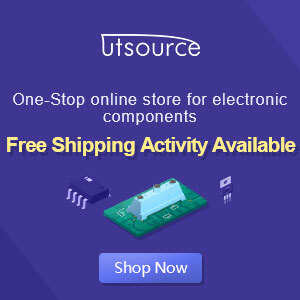 U1 is the TL072 IC OpAmp is used as a reinforcing component. IC specification is pretty good with low prices and adequate sound quality. FET input type that has an extremely high input impedance. but this will also affect noise preamp (so higher). R2 serves as a counterweight between the impedance-ins and + in. Impedance balancing will help lower distortion. Its value is the result of parallel R3 || R4. R4 / R3 + 1, ie 2x or 6dB. If the value of R4 and R3 are too high then the nosie will increase, if the value of R4 and R3 is lower then the noise will be lower, but the load on the U1 will be higher and may cause increased distortion. R5 serves to empty the C2 flows so as to reduce noise "bump" when the connector is connected. R6 serves to prevent oscillation due to the use of the cable sheath is long (more than 2meter).